Pinterest is a bit of a double-edged sword; on one hand it provides you with fantastic recipes, amazing DIY ideas and some serious home interior inspiration but then it also makes you feel a bit inferior when it comes to cooking, baking or making literally anything because the pictures just don’t seem to match up to reality. 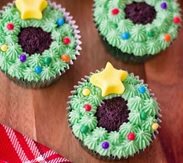 Despite that, you can’t do Christmas without having a browse through all the festive baking ideas and trying to recreate some, so we thought we’d share with you some of our favourite Pinterest Christmas bakes for you to try out at home! 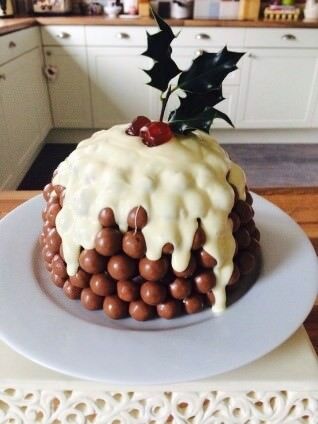 Potentially one of the most aesthetically pleasing bakes to ever exist, this cake covered in Maltesers and designed to look like a Christmas pudding is pure genius and although now not uncommon, we’re still impressed every time we see someone do it. These biscuits are the ultimate baking idea to do with kids and although Dessert for Two has a great recipe for making your own biscuits, we’re going to throw the suggestion of just decorating shop bought biscuits out there… just an idea! Seriously though, if you’ve got the time and skill then throwing together a batch of biscuits shouldn’t be an issue but if you’ve got the kids running around and need something to do with them, break out a packet of plain digestives, throw together some icing sugar and water and let them decorate with different coloured sweets… easy and delicious! This is another Pinterest bake that you can definitely cheat with if you haven’t got the time to start from scratch or you just want to entertain the kids for an hour without causing yourself too much work! Now, you could follow the recipe from Onion Rings and Things for chocolate cupcakes or you could just buy some chocolate cakes with no icing and get straight to the decorating, it’s up to you! If you’ve not got much skill with a piping bag then this just isn’t going to be for you because the whole idea of creating the ‘Christmas wreath’ design is to pipe it on, but regardless of your decorating skills, it’s worth a go and the kids are bound to have fun! There’s nothing we love more than a ‘no bake, bake’. If you’re not familiar with the concept, it’s essentially baking but you don’t have to put anything in the oven so nothing can get burnt, the best kind of baking yes? 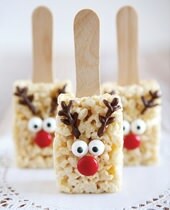 These reindeer rice krispie bites are adorable and although clearly aimed at children, we’re certainly going to be making a batch for ourselves! Thirty Handmade Days has got all the details of how you make these super cute festive treats and even the recipe says you can buy pre-made rice krispie bites and just decorate them, so whether you fancy an easy time or want to challenge yourself, this bake will work for you! We imagine those bakes will be enough to keep you busy during the Christmas break and let’s be honest, they’re Pinterest bakes which means they’re probably twice as hard as we could’ve ever possibly realised! Have you had any Pinterest baking successes (or fails)? Share them with us on Facebook or Instagram!